Black Twig‘s Halfways, the opening track from sophomore album Heliogram, delivers dream like states of ringing guitar notes and punctuated rhythm (and yes the guitar break is pure Loaded). A looping chord sequence moves to the left and then right, but returns to the elegant motoric jangle. Johanna Heikkilä‘s film creates the perfect accompaniment to Halfways. 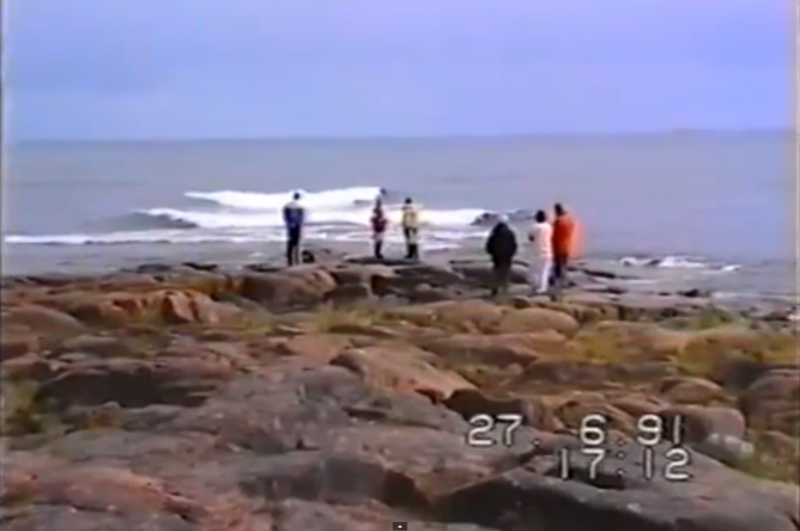 The 1990’s home footage rarely varies, but creates it’s own altered state of repetition, comparable to Warhol‘s beach voyeurism combined with the jump/cut glitch of experimentation.